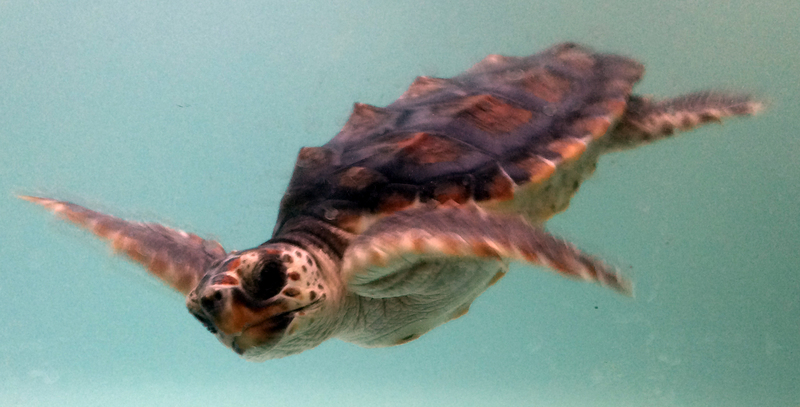 Equivalent to a baby making its first steps, the six-month-old loggerhead sea turtle that Newport Aquarium has fostered since October is ready to go on display. On Tuesday, Feb. 18, the loggerhead will be moved to the Shore Gallery exhibit in the 900-gallon Hanauma Bay tank, which simulates an active volcanic crater and reef. 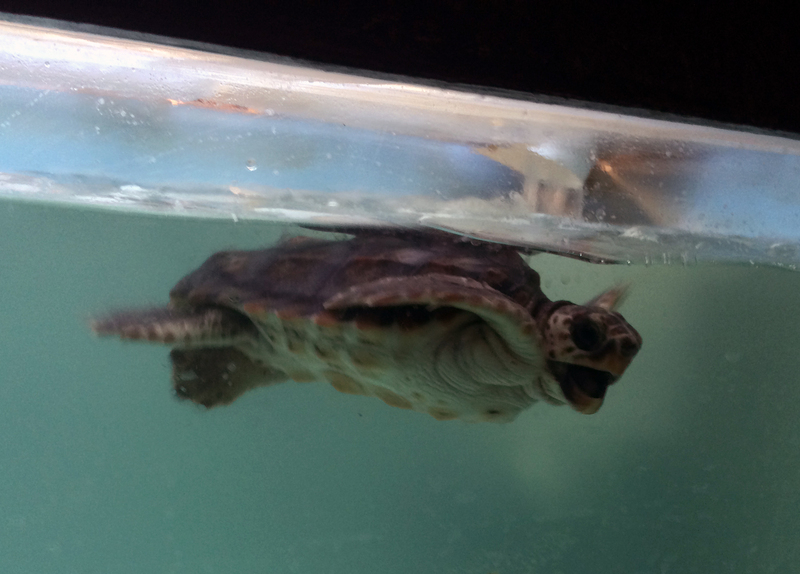 “It’s a great tank to start with for her because there is a shelf, which will allow her to get individually fed since the other animals in the tank are ravenous,” said Aquatic Biologist Jen Hazeres, the turtle’s primary caretaker. The Hanauma Bay tank includes Stripey fish, Achilles tang, emperor angelfish, two eels and crabs. Upon her move to exhibit, the female loggerhead will be interacting with other animals for the first time in her young life. As the sea turtle’s weight increases, so too does her food intake. Currently she is getting 12.5 grams of food twice per day. 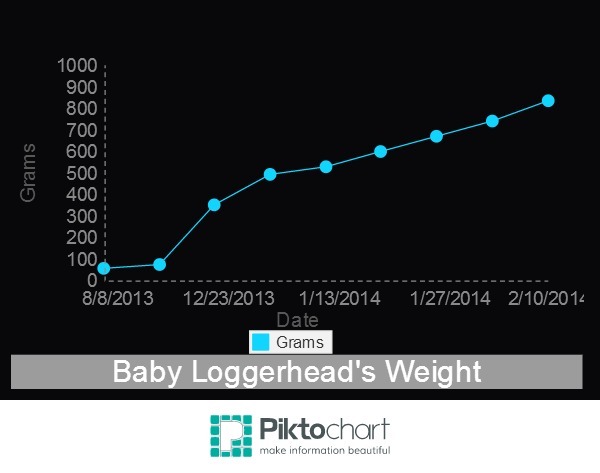 A growth chart of the young loggerhead’s weight (in grams). Now that her weight is up – she checked in at 831 grams (1.83 pounds) on Feb. 10 – and she is able to dive to the bottom of her current 90-gallon tank with relative ease, Hazeres said the small turtle is ready to move onto the next phase of her growth. Visit Newport Aquarium’s official blog – aquariumworks.org – to read #TurtleTuesday updates on the baby sea turtle’s progress. 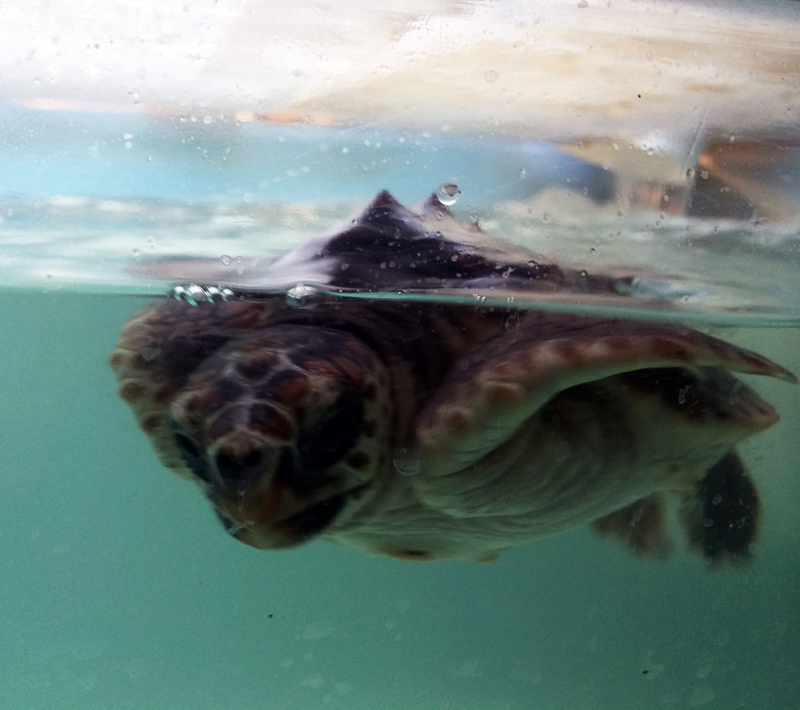 This entry was posted in Turtles and tagged Sea Turtles, turtles by NewportAquarium. Bookmark the permalink.